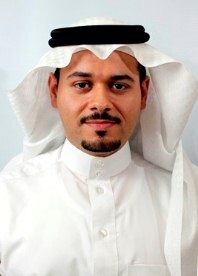 Dr. Alghamdi received his PhD in 2012 from the Department of Electrical and Computer Engineering, McGill University, Montreal, Canada. His PhD research focuses on power management solutions for portable electronics. He received the B.Sc. and M.Sc. degrees (with honors) in electrical engineering from King Fahd University of Petroleum and Minerals (KFUPM), Saudi Arabia, in 2001 and 2004, respectively. In 2001, Dr. Alghamdi joined the Electrical Engineering Department at KFUPM as a Graduate Assistant, where he is currently an Assistant Professor (as of July 2012). He was a teaching assistant in the Department of Electrical and Computer Engineering, McGill University from Jan 2009 to Aug 2011. - Low-voltage, low-power analog and digital circuit techniques. - Power Management ICs for Biomedical and Portable Devices. - Energy Harvesting for biomedical applications (RF, Photovoltaic ... etc). - DSP based digital controllers. - Automatic calibration and tuning for multi-slandered circuits and systems. U, M, T: 8:30 am - 9:30 am or by appointment.